Wake at 10.30am and realise that it has been week since last confessional blog entry. In spite of roller coaster weekend featuring perverse hotel hijinks, drunken games of rounders and ninety minute walk along London Cycle Superhighway number seven, self still found time to watch Australia with non-flatmates life-giving parents and take in follow-up-feature-based-on-Hugh-Jackman-obsession screening of early-Wolverine-outing-hacker-film Swordfish. Unable to blog about former film as even though film in high definition, self too fat with kebab to keep eyes open for very long. Unable to blog about latter film as even though film not in high definition and self not fat with kebab, self too trashed on cider to recollect emotional response. Initiate routine in newly cleaned kitchen. Wonder why kitchen so clean. Realise self made agreement with flatmate Johnny that if flatmate Johnny cleaned kitchen self would clean bathroom. Self obviously tipsy when deal struck but self devoid of excuses as flat empty as flatmate Johnny at work and flatmate Tom AWL in countryside to pen dissertation. Self wishes self had dissertation to write. Self instead has completely free day. Self aborts routine as cleaning body pointless in light of state of bathroom. Self strips down to essentials and initiates onslaught. Choking on cigarette solved by leaving room, entering bathroom and gulping down shot of domestic bleach. Calmed, self closes out episode thoroughly impressed. After relentless scouring of doo-doo detritus on inner rim of toilet bowl, self deserving of longer lunch-based break. Self decides upon new non-Harvey-Keitel-starring Werner Herzog/Nicolas Cage endeavour The Bad Lieutenant. Original screening of film failed as non-flatmate old friend James fell asleep. Non-flatmate James now in Swindon so self feels watching film not betrayal. 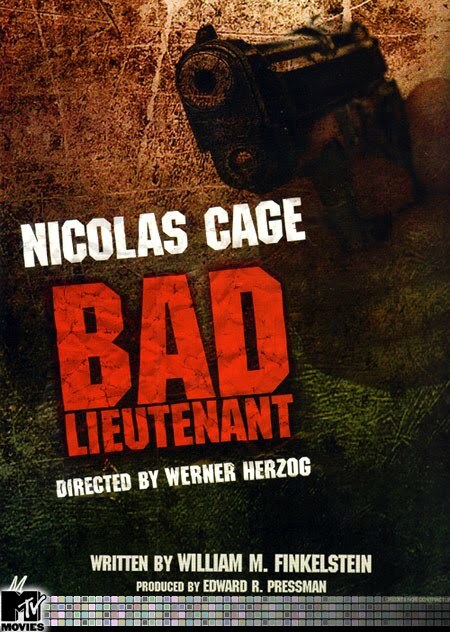 As film progresses, can’t help but feel as if titular adjective “bad” doesn’t quite cover corruption of Nicolas Cage’s Lieutenant. Nicolas Cage does crack. Nicolas Cage does coke CONSTANTLY. Nicolas Cage does heroin… wait… that was accident, Nicolas Cage thought heroin was coke. Nicolas Cage does coke to counter balance effect of heroin. Nicolas Cage has prostitute girlfriend. Nicolas Cage pimp as well as detective. Nicolas Cage willing to stop at nothing (truly, no thing whatsoever) to capture murderer. Nicolas Cage even willing to tell murderer where drug busts occurring. Nicolas Cage willing to do crack with murderer. Nicolas Cage doing drug deals with murderer. Nicolas Cage potentially losing plot due to too much crack. Nicolas Cage even willing to let murderer smoke crack from Nicolas Cage lucky crack pipe. Wait, Nicolas Cage brilliantly misleading murder to plant DNA evidence to frame murderer. But frame-up fine as murderer guilty. Nicolas Cage off rails worse than in Leaving Las Vegas. Nicolas Cage likes to do good acting in films about addiction. No different in The Bad Lieutenant. Nicolas Cage almost making up for Bangkok Dangerous. Not quite making up for The Wicker Man. Pleased to see Val Kilmer looking thinner since Deja Vu. Hurried scroll through Val Kilmer filmography reveals Val Kilmer fond of appearing in films self has never heard of. Val Kilmer potentially responsible for self viewing habits for next month. Val Kilmer wants to stop Nicolas Cage arresting murderer at end of film. Val Kilmer jealous of Nicolas Cage career and so trying to be worse lieutenant. Nicolas Cage not happy. Potential straight-to-DVD spin off for Val Kilmer: From Bad to Worse Lieutenant. Film ends with bad lieutenant being promoted to bad captain. Nicolas Cage apparently sober. Self annoyed. Nicolas Cage runs down club goers for hit of crack. Self relieved and impressed. Self feels dirtier than flat bathroom. Fear for self health as self easily influenced by Nicolas Cage. Can’t afford coke. Can afford cider. Cider depressant. Self more likely to become sad lieutenant. 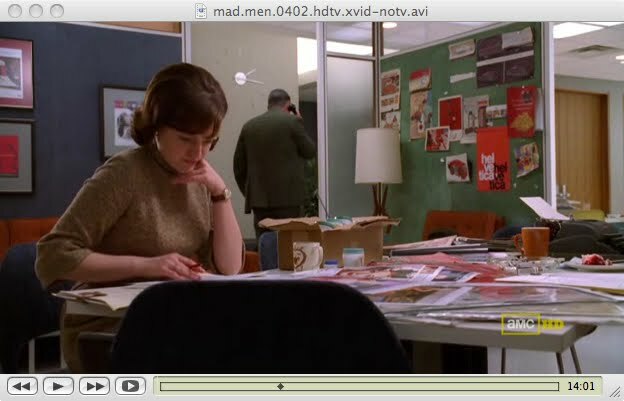 This entry was posted in ****, 2009 and tagged australia, bad lieutenant, bangkok dangerous, deja vu, drinking, eva mendes, fonts, hugh jackman, leaving las vegas, mad men, nicolas cage, swordfish, the wicker man remake, val kilmer, werner herzog. Bookmark the permalink.